A day after DC launched their new Batman v Superman: Dawn of Justice trailer, DC and the CW released the key art for the upcoming series, DC’s Legends of Tomorrow. The series, a spinoff of CW hits Arrow and The Flash, with some characters appearing in both series. DC’s Legends of Tomorrow stars Arthur Darvill as Rip Hunter, along with Victor Garber, Brandon Routh, Caity Lotz, Falk Hentschel, Ciara Renée, Franz Drameh, Dominic Purcell and Wentworth Miller. 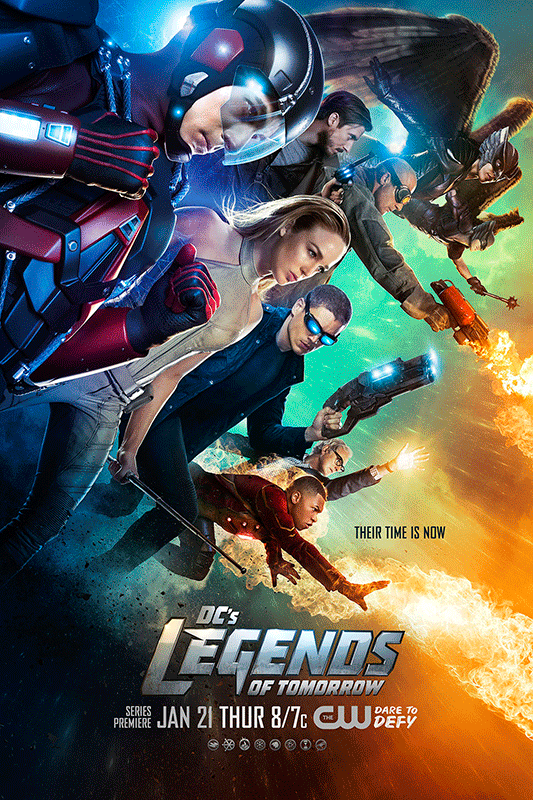 DC’s Legends of Tomorrow debuts January 21st, will you be watching?